We offer high quality sports massage and injury treatment for both sporting and non-sporting issues. You don`t have to take our word for it, with over 700 clients there are plenty of people to ask. We realise that Monday to Friday 9 till 5 isn`t always the best time for people to have treatments so we offer treatments Monday to Saturday from 07:00 to 21:00 (12 on Saturdays). So you can get a treatment before during or after working hours. Our 07:00 early bird treatments are really popular. 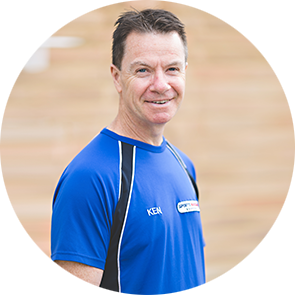 Sports Massage Bedford was started by me, Ken Parsons started on a part-time basis in 2006. 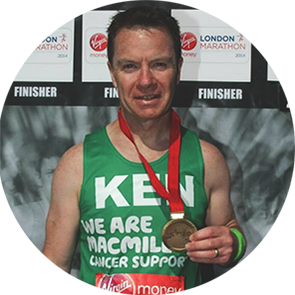 We progressed to full time in 2013 and now work out of treatment rooms in Bedford and Kempston. We have formed a close relationship with other therapy specialists to ensure we can help fix any issue. If needed, we can refer you on to Sarah De lacy Munday Osteopath, Mair Seal Physiotherapist and Darren Kerr Podiatrist all of whom are elite therapists in their field with years of experience. You don`t even need to talk to us to book in, just use the online booking system on the website. My background in massage started back in 2001. Having experienced work-related stress I decided to do something about it. I wanted to learn how to ease the symptoms and eliminate the issue. This led me to study for a diploma in anatomy and physiology at Bedford College. With this qualification, I went on to study various massage techniques all of which helped people manage stress, Indian Head massage, Swedish massage, Reflexology and more. I worked part time providing de-stressing massage but found with most clients there were more issues which needed dealing with, soft tissue injuries. Frustrated at not being able to help more, in 2006, I studied for a level 3 diploma in sports massage at Luton College. In 2007, I took this a step further and studied with the brilliant Oxford School of Sports Massage for a level 4 diploma. My Tutor, Paul Turner was exceptional and started me on a path to a successful career as a sports massage therapist. I was lucky and honoured to be asked by Sarah De Lacy Munday to ply my trade at The Mews Clinic in 2008. Under her watchful eye, I have been able to expand my knowledge and experience. My business ethos is quite simple, I believe it is really important to build a professional friendship with each and every client to help understand their needs and help them achieve their goals. These can be as simple as sitting at their work desk without a niggling shoulder/neck issue or help them achieve a sub 4 hour marathon. I worked for Royal Mail for 25 years and left there 8 years ago to work at The Grove School Independent School in Milton Keynes. I knew when the time was right to pursue my passion and work full time in Sports Massage. To this end, I finished 5 enjoyable years at the school on Friday 21st December. 2012.